Sauté garlic and tarragon in olive oil until transparent, taking care not to burn the garlic. Add red wine and reduce until almost all of the wine has evaporated. Add butter and white pepper, stirring to ensure even distribution. Remove lobster from the shell cutting with a sharp knife. Rinse in cold water and pat dry. Depending upon the size of the tail, you may want to cut into two serving pieces. Add egg and half-and-half to a small bowl and beat lightly. 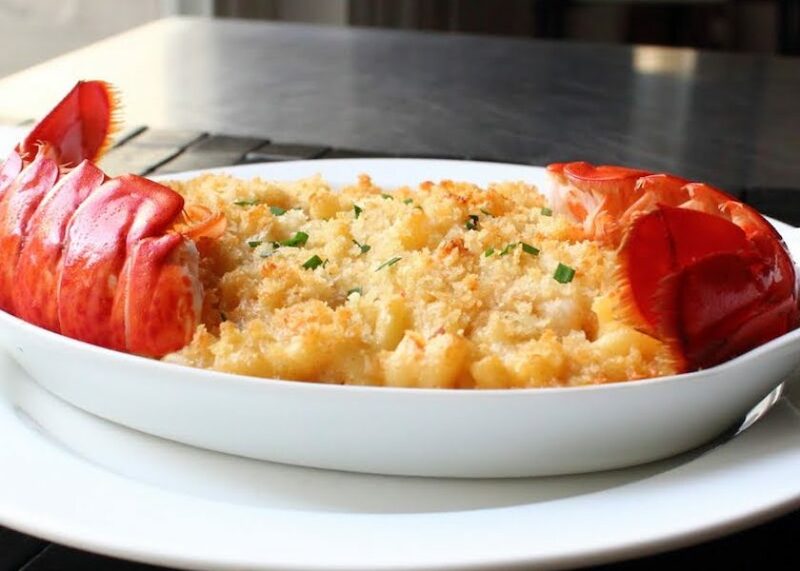 Dip lobster pieces(s) into the egg mixture and then into the breadcrumbs to coat. Place into a very lightly oiled casserole dish. Pour tarragon-butter mixture over the top and bake at 350 degrees for 4-8 minutes, depending upon the type of oven. (Convection ovens shorten cooking time.) Beware of breadcrumbs burning too quickly.